Twin babies should have twin cribs. 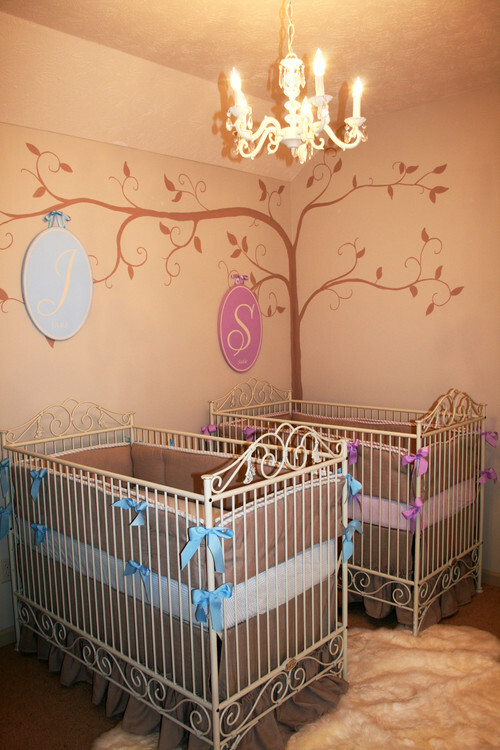 This pair of cribs is perfectly suited for boy and girl twins. Blue bedding with matching ribbons and wall sticker are used to decorate the boys area while a warm pink is used on the same elements for his sister’s space.